Jessica Vigos had never been in trouble with the law and then, at the age of 31, she got charged for possession of Methamphetamine and found herself in drug court. Unable to stay clean on her own, she was court-ordered to enter treatment at Odyssey House. Odyssey House is a substance abuse treatment program that offers individualized care based on what an individual needs. The program can offer assistance such as vocational training, psychiatric services, family therapy, lengths of stay and more; based on what they believe will help a person defeat their addictions and become a productive and self-sustaining individual. Vigos, a student at SLCC, is pursuing a degree in Science and Business, has successfully completed treatment and is now Office Manager for Odyssey House. She has drug abuse in her family history and started using when she was fourteen years old. The Odyssey House prides itself on its customized treatment for each individual and their dual-diagnosis system. This system finds the nature of the person’s addiction, as well as the behaviors and influences that lie at the heart of the patient’s drug and alcohol use. Jessica was involved with inpatient treatment at Odyssey House facilities for fourteen months and they helped her with healthy ways to deal with her emotions, how to communicate effectively and how to face being sober for the first time. After the fourteen months, she transferred to Sober Living. Sober Living is a transitional housing program that helps patients who are completing treatment to have an affordable living space. Odyssey House owns two apartment complexes where some people in recovery are able to live. This is one of the attributes that makes Odyssey House unique and effective. Christopher Weed is a student of SLCC and finishing up a degree in Architecture. Weed had tried many different unsuccessful treatment programs in his home state of California. Weed’s mother then found information about Odyssey House online, and decided it would be best for Weed to get away from familiarity and bad influence and be admitted for long term treatment. “It’s very structured – they give you this environment to grow in, and you use that structure and internalize it,” says Weed. He says they follow a daily schedule: wake up early in the morning, clean up, make breakfast, and go off to a job within Odyssey House. Then, later at night, they go to group classes and finish up their responsibilities. “A lot of it is giving you a model of a lifestyle to take on,” Weed says. Weed’s mother only had enough money to pay for the first three months of treatment out of pocket. When the money had run out, Odyssey House helped Weed’s family by contracting with local businesses to let him work for them to help pay for treatment. Treatment is expensive and Odyssey House can help a person navigate insurance and find many different funding sources. The Affordable Health Care Act has opened up new possibilities for funding treatment. Someone that is looking for treatment but doesn’t know how to get the money for it can call the Odyssey House, and they will provide a walk through possible sources for funding. The Odyssey House website mentions job insecurity can be one of the biggest factors in addiction and if patients are not given ways to help them feel confident about working and getting a job, then it is very easy for them to relapse after treatment is finished. Vocational training is a big part of the Odyssey House treatment program. Patients are taught skills on how to find and keep a job. There is an on-site upholstery shop where training takes place, and patients learn the basics of the trade and perform commissioned work for local businesses. The next step is a program called Pivot, and Odyssey House has partnered with 36 businesses in the community who will hire Odyssey House clients who are still in treatment, to work for them. They have the potential to get a job from those companies after they graduate from treatment. 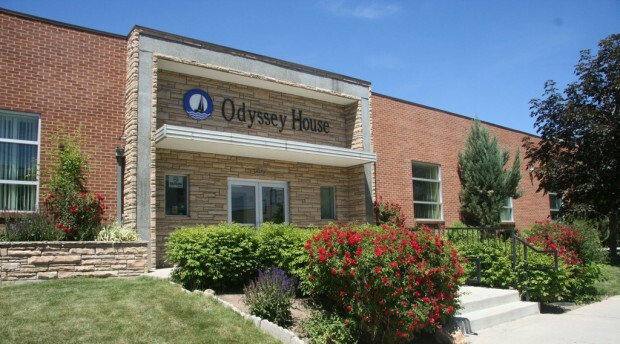 For more information, questions, or to see if treatment is right for you contact Odyssey House at (801)322-3222 or visit their website at odysseyhouse.org. 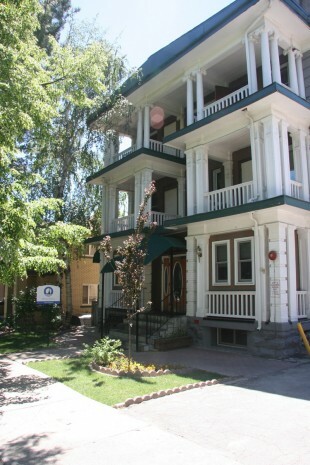 The Odyssey House adolescent residence in Salt Lake City. 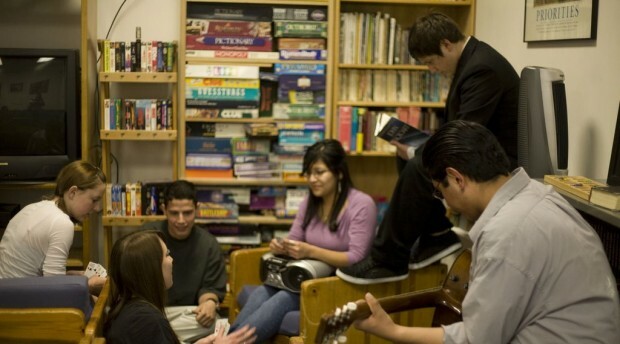 Adolescent clients relax after a day of school and therapy at Odyssey House. An adult client at Odyssey House works in the upholstery shop for vocational training. 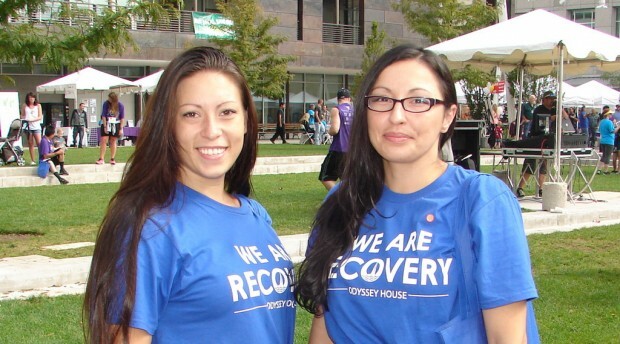 Odyssey House clients celebrate Recovery Day at the Gallivan Center in Salt Lake City. This place is definitely a good place I was there for almost two years. Everyone tells you its just for snitches wrong grow up and take responsibility for your actions that is what Odyssey House of Utah will teach you.I learned so much from here and I am proud to say I made it and graduated from here February 23,2009. Yes it is hard I will admit but if your ready to change then its so worth it. Good luck to all of you.